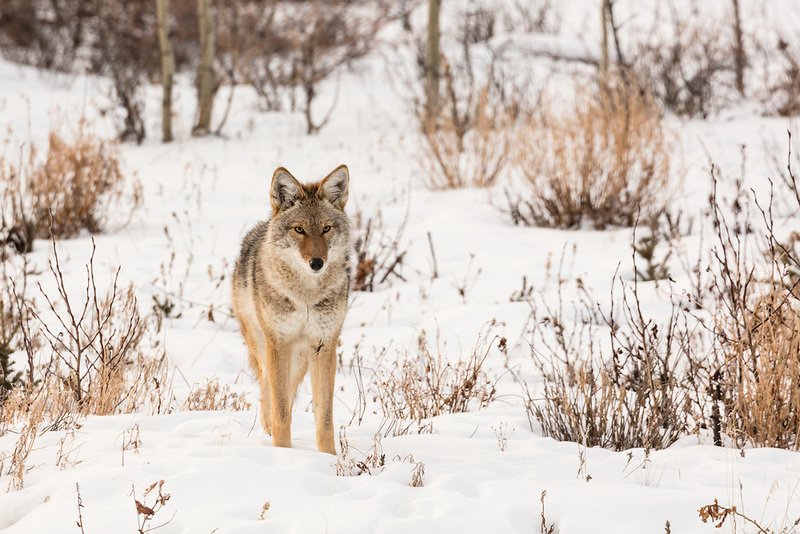 Coyote (Canis latrans) along the Alaska Highway in Kluane National Park in the Yukon Territory. Winter. Morning.